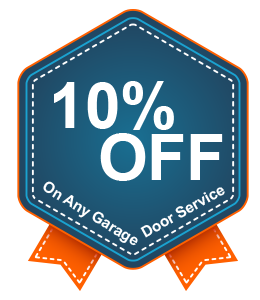 The springs of your garage door are an essential part of their operation. Without the springs, the door will not operate properly. Garage door springs must withstand hundreds of pounds of tension every day. This means they can occasionally break without warning. A spring malfunction typically happens when the garage door is down, but it can also occur if a spring breaks while the door is open or pointed upwards. This creates an immediate emergency situation as the heavy door may crush everything below it as it slams to the ground. For this reason, it's critical to allow us to repair your broken garage door springs and not attempt the repair yourself. At Central Garage Doors, we have years of experiencing providing timely and high quality repairs for any type of issue involving garage door springs. If you find yourself in this situation, know that we will recommend the most beneficial scenario to get the door springs fixed safely and promptly. Our technicians will also advise you of methods you can use to keep your springs in the best possible operating condition to improve their life span. If you need a new part while we are at your home, you can choose one from our supply of springs that we carry with us to each job site in and around San Jose, CA. This enables us to replace a faulty garage door spring immediately. 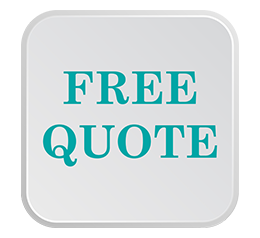 We want you to feel safe and satisfied with our repair and replacement work. The tension on a garage door's springs must be equal to its weight in both tension strength and pounds. As an example, a garage door weighing 150 pounds requires a spring with tension strength of 150. The mixture of weight and tension could lead to an emergency situation if you try to complete the repair on your own. To avoid injury or property damage, it's important to work with a professional at Central Garage Doors. We possess critical and comprehensive knowledge about the inner workings of garage door springs and how they must equal door weight. It is impossible to perform replacement or maintenance without this knowledge and experience. Your garage door's torsion springs manage its weight according to where the strong beam is located at the top of the door. When cables are activated and the garage door goes up, the torsion springs start uncoiling so the door can open completely. 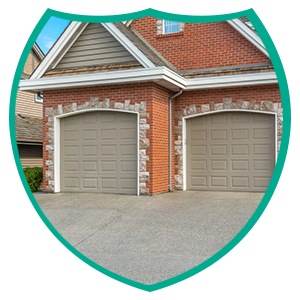 When you close your garage door, coils and torsion springs operate in the other direction. These actions occur simultaneously so the garage door opens and closes normally. The torsion springs on your garage make managing its weight easy for someone who has the proper raining. Each one contains spring traits that determine the inside diameter, spring length, and wire size in addition to its overall durability and strength. Each of these components determine the amount of weight a spring can withstand as well as how often the garage door can be raised and lowered before the spring gives way. Larger springs are capable of handling higher amounts of resistance and weight. Most residential doors require one or two springs to manage their weight. Commercial garage doors may require more than two springs. The additional door weight means an increased need for springs. Extension springs handle the weight of a garage door by constricting and extending when the door is opened and closed. They contain open areas that enable mounting of sturdy machinery located inside of the garage door system. To offset the heavy weight of the garage door, these springs constrict to allow for easy opening and closing. The springs draw together as the door goes up, allowing it to rise as often as possible. The extension springs return to their original position when the door is lowered. As with torsion springs, extension springs contain a great deal of tension. 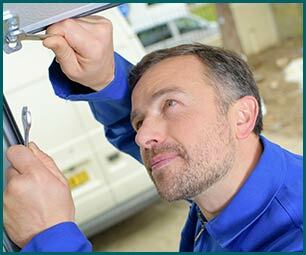 A person who is not experienced with garage door repair can cause extensive damage to the system or even injure themselves. Routine maintenance allows the technicians at Central Garage Doors to make sure that all springs are operating as they should.